Wine of Italy. Storie di Vite represents very prestigious wines from the Trentino valley in Northern Italy. 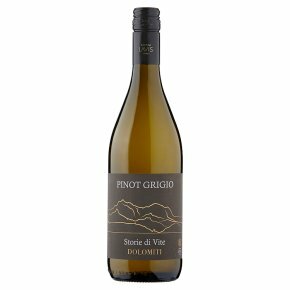 Source by Cantina La Vis from the foothills of the Dolomites this elegant and refined Pinot Grigio is rich with citrus and pear fruit and has a lovely fresh minerality which give it finesse. Ideally served with salads, fish and poultry, but also lovely as an aperitif.